Divorce in South Florida is a simple process within different family laws. 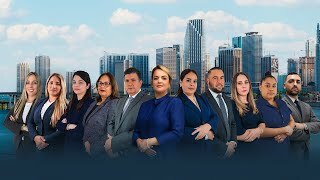 Divorce is a difficult time for both parties to pass a marriage, so our Gallardo Law Firm in Miami, Florida understand your pain and make sure the divorce is most beneficial for you and your family. Some marriages are legal married for the simple reason that at some point in their lives they felt the love and pleasure of joining forever front of a notary by signing a marriage certificate, but for different reasons not proved to be the ideal partner that would end the rest of your life, or simply a geographical rift occurred that caused the loss of marriage, that is, living in different states or countries which results a lost love and desire to divorce. Divorce that proceeding in couples who reside in different states or countries is called as international divorce and this procedures are treated in the same way as a conventional divorce, but with the disadvantage residing in different areas. Our international divorce lawyer reviews these cases to reach the solution for their clients. Gallardo Law Firm provide representation legalizing the separation no matter where your spouse resides. People who claim the divorce must reside in the state of Florida for at least six months to give the case. If your spouse is in another state within the United States, then proceed to send all details of the international marriage and divorce, this person has to be governed under international divorce laws of Florida and come to divorce international jurisdiction if necessary and sign papers divorce. If not known the location of the couple, will be published in means of social communication the divorce of that person, if it is not the divorce order, then is obtain the divorce by default. In the case of spouses who live in other countries are sent by USPS mail all documents of divorce and so may sign the application and take it for relative separation. If the location of your spouse is unknown we send all the information to social networks to spread the divorce. If a considerable period of time does not meet demand, proceeds to divorce the person desire. International divorce documents from the same way as a regular divorce in Miami. You can visit our page about divorce in Miami for general information of the case. The international divorce rates in the United States are very high and depends on the state in which the case is developed, in Florida for example, it all depends on where are residing the person must accept the divorce application. For citizens of countries such as Mexico, Puerto Rico, Brazil, etc., who are resident in Miami Florida, international divorce procedure is the same as explained above. Here is how the process of international divorce for Cubans in particular, product occupies system works. Many cubans come to florida looking of new opportunities and development, but socio- political problems of the cuban government have to migrate to the united states absolutely alone, leaving the family in cuba. this always has consequences and bitter loneliness; so many couples finished in divorce. we all have rights to continue with our lives and as long as we the couple seated behind us, only through lawful marriage ties can not live and be happy. it is necessary to legalize divorce, in gallardo law firm, the divorce lawyers know all the paperwork that you need for your legal separation. The process of international divorce involves the same procedures as for a regular divorce; the only difference is that the person suing for divorce while his family still lives in Cuba. Our Gallardo lawyers first met in all the information necessary to start the paperwork. The client needs to reside at least 6 months for to ensure compliance with the divorce laws, and then we continued the process of international divorce. All documents are sent by post mail to the defendant, it is important to know your spouse’s residence in Cuba. After the person signing the divorce is legally unmarried and you can return back to your new love life. Sometimes when the whereabouts of the other person is not known, Gallardo publishes all the information regarding the same so that the Cuban authorities to intercede in helping the search for spouse. Our Gallardo Law Firm in Miami assist many clients in the State of Florida. The divorce demands are some of the common processes in our office, which can sometimes prove to be complex when one member of the marriage does not live in Miami. These procedures are known as an international divorce. No matter where your spouse is living, our intention and goal is to obtain the best possible outcome for our client. I am a Haitian citizen and reside in Miami, FL for more than two years. My wife still lives in Haiti, and I would like to know how to get an international divorce in my case? You meet the primary requirement of a spouse residing in Florida and the other one in the home country, and in this way meet international divorce law. We can contact your partner if both parts agree to sign the divorce. You are granted a divorce, even when the other person does not want to appear in court. How does international divorce work for Dominican Republic citizens? For citizens of the Dominican Republic, we can get a divorce following the standard procedures of international divorce or get a power of attorney stating that your partner agrees with the divorce terms and process. Then, you are automatically granted legal separation. Is it costly to file for international divorce in Miami Florida? The cost of an international divorce depends on international family law and the legal representation you hire. Sometimes this type of process can become complicated raising the total cost of the proceedings. You need to contact Gallardo Law Firm today. We know how to navigate international laws with ease and divorce papers in less time and at a lower cost. I would like to begin a divorce process for my wife, who lives in Mexico, and I am here in Miami, but my child also resides there with her. What happens to child support if we are legally separated? International divorce, child support and child custody in Miami Florida are applicable in your particular case. It’s doesn't matter in what country you are, it is treated the same. You may discuss the terms with our professional lawyers.